SEONGNAM-SI, SOUTH KOREA (PRWEB) AUGUST 01, 2018 BIXOLON Co., Ltd. a leading global Mobile, Label and POS printer manufacturer today announced the addition of the SRP-Q300B 3-inch (80mm) Direct Thermal cube Receipt and Ticket printer with Built-in Battery to its innovative SRP-Q300 line-up. Supporting a 24V Li-ion, 2,750mAh rechargeable battery, the SRP-Q300B helps to provide a true wire-free tablet application combining quality and capability for a variety of applications from food trucks to pop-up store speciality branding. The SRP-Q300B supports a compact footprint with a cube type design, measuring 128 x 125 x 169.2 mm (5.03 x 4.92 x 6.66 inch). Printing at speeds up to 220mm/sec and print resolution of 180dpi or 203dpi. Offering USB and LAN connectivity as standard with optional WLAN or Bluetooth. Sporting a 4 hour battery charge time, the SRP-Q300B can support continuous printing of up to 10 rolls of 80mm diameter paper (total 600 m), with a 52-hour stand-by time once fully charged. 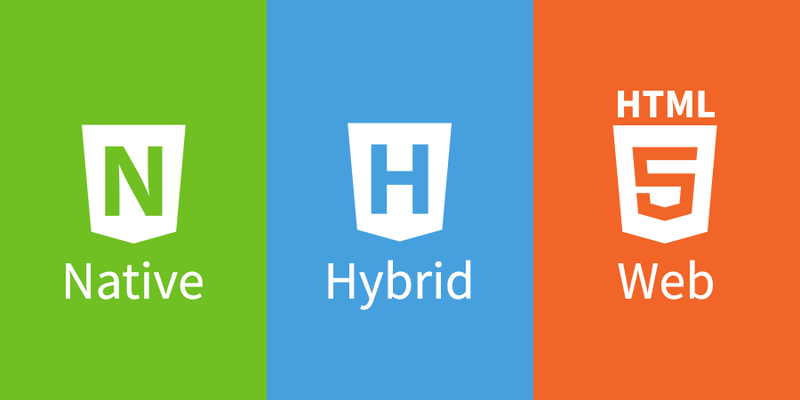 Compatible with all major operating systems and plugins including iOS™, Android™, Windows®, Linux™, Xamarin™, Cordova™, Chrome™. The SRP-Q300B supports NFC for Android™ functionality for initial printer setup and configuration with Android smart devices. Enabling user convenience throughout the printer setup, the BIXOLON Android Q300 Utility Software application on the Google Store provides exclusive setup compatibility with the SRP-Q300B. Alongside Smart Connection™ supporting an easy Wi-Fi setup with iOS smart device. “As the mPOS market continues to grow, BIXOLON has developed a printing solution which pushes the boundaries of conventional POS setups to provide an adaptable solution which can be used for a variety of applications,” explains John Kim, BIXOLON Director of Marketing. “The SRP-Q300B completes BIXOLON’s highly successful SRP-Q300 Series pairing connectivity with functionality and showcases BIXOLON’s ongoing commitment to providing cutting-edge printing solutions for the ever changing POS market.” For more information visit http://www.bixolon.com or contact your local BIXOLON sales representative. Availability The SRP-Q300B is available for pre-order for the BIXOLON Head Office sales region. The product will then be available to purchase from BIXOLON Americaand BIXOLON Europe’s sales regions from October 2018. For more information, contact your local BIXOLON sales representative. About BIXOLON BIXOLON is a leading global manufacturer of innovative, advanced printing technologies including point-of-sale receipt, label, Auto ID and mobile printers for a wide range of environments. Millions of BIXOLON printers are used today in retail, hospitality, healthcare, banking, ticketing, post/parcel, warehousing and other transaction-intensive industries. In 2018, for the fifth consecutive year BIXOLON was named global mobile receipt printer market leader by Japanese research company Chunichisha. BIXOLON Launches the SRP-Q300, Ultra-Compact, 3 inch Direct Thermal, Cube Receipt and Ticket mPOS Printer Düsseldorf, Germany – BIXOLON, a leading global mobile, label and POS printer manufacturer, today announced the launch of the SRP-Q300 3-inch (80mm) Direct Thermal ultra-compact, receipt and ticket printer to the European market. Redefining POS printing, the SRP-Q300 with its small footprint pushes the boundaries of conventional POS printing with its multiple configuration options for front-exit printing. This ergonomic printer with tidy cable management, non-slip rubber feet and reinforced lid combines aesthetics with functionality. Printing at speeds up to 220mm/sec with a printer resolution of 180dpi to provide high quality texts, graphics, barcodes and QR codes. 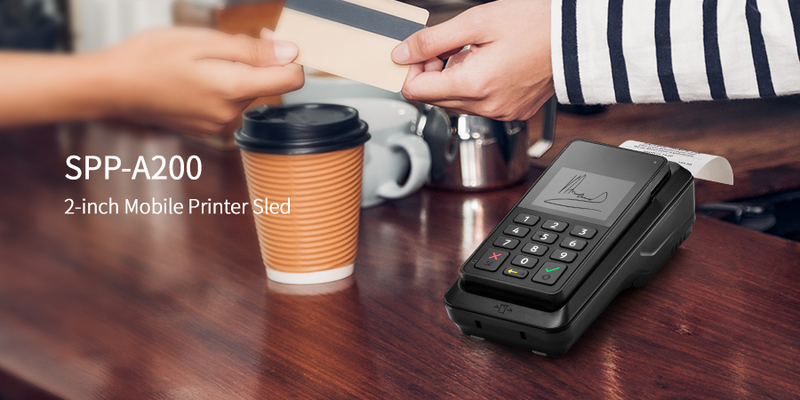 Supporting USB and LAN connectivity as standard with optional Bluetooth and WLAN models plus NFC for Android™ functionality, the SRP-Q300 can be tailored to any POS application. The SRP-Q300 NFC Bluetooth functionality is ideal for initial printer setup and configuration with Android smart devices running on Android OS V3.1 or higher. Enabling user convenience throughout the printer setup, the BIXOLON Android Q300 Utility Software application on the Google Store provides exclusive setup compatibility with the SRP-Q300. “BIXOLON is continuously identifying trends in the market and developing printing applications which fit the requirement of the user,” explains Charlie Kim, Managing Director, BIXOLON Europe GmbH. “The SRP-Q300 is the latest POS printer from BIXOLON aimed at the mPOS market due to its compact size, ergonomic functions and compatibility with other BIXOLON mPOS peripherals to create a complete, sleek mPOS solution.” About BIXOLON BIXOLON is a leading global manufacturer of innovative, advanced printing technologies including point-of-sale receipt, label, Auto ID and mobile printers for a wide range of environments. Millions of BIXOLON printers are used today in retail, hospitality, healthcare, banking, ticketing, post/parcel, warehousing and other transaction-intensive industries. 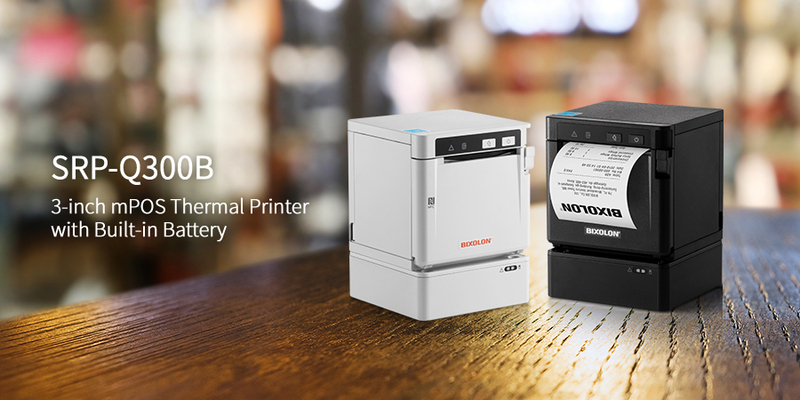 In 2017, for the fourth consecutive year BIXOLON was named global mobile receipt printer market leader by Japanese research company Chunichisha, securing a 32.9% market share. For more information, contact us at http://www.bixolon.com, or follow us on these social channels: Twitter, Facebook and YouTube. BIXOLON Co., Ltd a leading global Mobile, Label and POS printer manufacturer today announced the launch of the BCD-2000 and BCD-3000 mini Super Twister Nematic LCD Customer Displays. Featuring flexible character display positioning, enhanced mono LCD display with variable brightness. BIXOLON’s new customer display’s boast easy plug and play USB setup, accompanied with a user friendly download and image display utility to provide logos and pictures on screen for a truly unique customer experience. Launching the BCD-3000 with a sleek, ultra-compact design is 287% smaller than standard customer display is ideal for minimalistic mPOS environments. Supporting multiple cable paths for user convenience and an angle adjustable display from 0 to 35°. This mono LCD display supports up to 2 lines of text (40 characters) or logos or graphics. Providing the next generation in customer displays to retail and hospitality markets, the BDC-2000 supports a flexible design with adjustable height, optional wall mount, 13° five option angle adjustor and 360° screen rotation. Supporting easy connection to the host via a USB cable pass-through design. This enhanced mono LCD display supports up to 4 lines (120 characters) or logos or graphics. 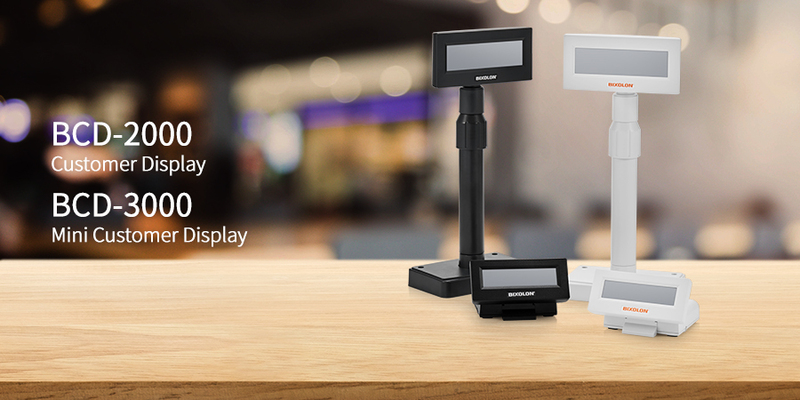 For a smart mPOS solution, BIXOLON’s customer displays provide tablet compatibility through its dedicated Android, iOS® and Windows ® SDKs (Software Development Kits) when connected to BIXOLON’s B-gate mPOS hub solutions (SRP-Q300H, BGT-100P) via a simple USB cable. “BIXOLON’s next generation in customer displays are fast, easy to read and highly reliable,” cited John Kim, BIXOLON Director of Marketing. “The features of the BCD-2000 highlight the technology progression from its predecessor the BDC-1000/1100. Providing 250% enhanced reliability, advanced connectivity and improved display performance. Whereas the BCD-3000 compact display compliments BIXOLON’s SRP-Q300 cube printer to create a unique mPOS terminal.” - o - About BIXOLON BIXOLON is a leading global manufacturer of innovative, advanced printing technologies including point-of-sale receipt, label, Auto ID and mobile printers for a wide range of environments. Millions of BIXOLON printers are used today in retail, hospitality, healthcare, banking, ticketing, post/parcel, warehousing and other transaction-intensive industries. In 2017, for the fourth consecutive year BIXOLON was named global mobile receipt printer market leader by Japanese research company Chunichisha, securing a 32.9% market share. 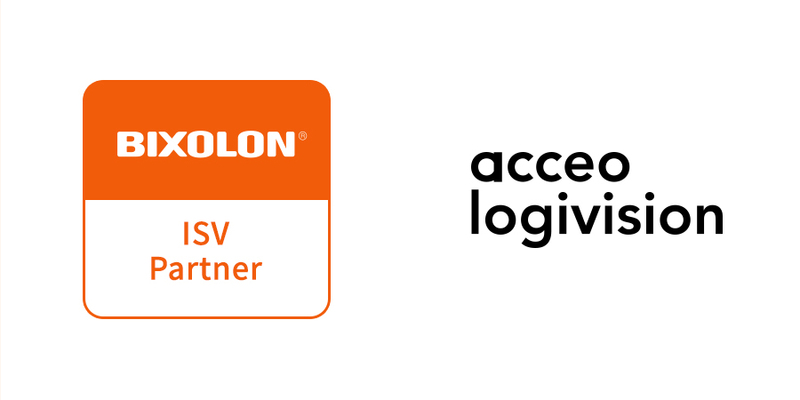 For more information, contact us at http://www.bixolon.com, or follow us on these social channels: Twitter, Facebook and YouTube. 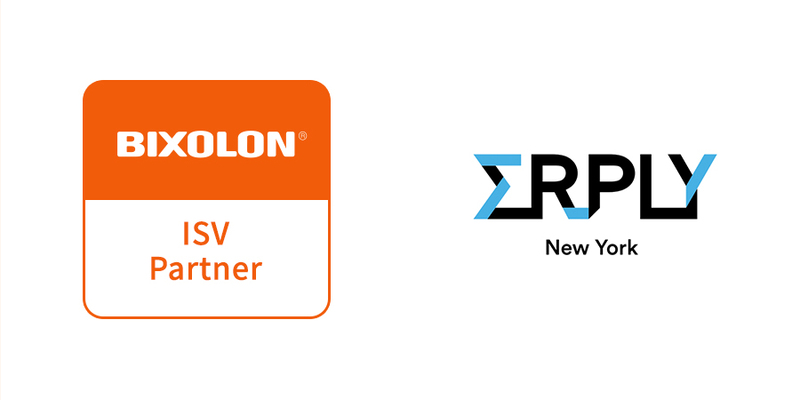 BIXOLON America is pleased to announce their new partnership with ERPLY, a global provider of easy to use Software-as-a-Service for Point of Sale, commercial retail inventory and eCommerce. Through this integration and partnership program, full-service offerings are readily available to their mutual customers across several verticals. Fred Hoffman, Director of Channel & Distribution Sales at BIXOLON America said that, “The latest BIXOLON mPOS printers offer the most up-to-date solutions for partners like ERPLY, including iOS, Android and Windows functionality.” Mr. Hoffman went on to say that, “With this new partnership, we are looking forward to showing how the mPOS BIXOLON product line supports a cutting edge POS technology like ERPLY, which brings the power and performance of a traditional POS system to a hand held device”. Sander Sebastian Agur, VP of Business Development at ERPLY, reported that the “partnership between our companies addresses a specific market need.” He added that “this partnership brings [our] customers an independent, working software and hardware bundle so they can add flexibility in their long-term IT decisions and never have to doubt if the products and services they buy actually work.” Because of the integration with some of BIXOLON’s best-selling devices including the SPP-R310 and the SRP-F310II, BIXOLON and ERPLY’s clients have access to a wider array of advanced printing technologies with the particular ERPLY software that is unique to their environments. BIXOLON and ERPLY both look forward to a long-term partnership and to revolutionizing the POS space. About BIXOLON BIXOLON is a leading global manufacturer of dependable innovative and advanced printing technologies that include POS, Auto ID and Mobile receipt and label printers for a range of environments. BIXOLON views its printing technology as an essential tool for any business and holds itself to the highest standards since dedication to customers is its core belief. BIXOLON’s FAST, FLEXIBLE and FRIENDLY approach to business has much to do with its recent success. About ERPLY ERPLY is a global provider of easy to use Software-as-a-Service for Point of Sale, commercial retail inventory and eCommerce that handles data across physical shops, online stores, and warehouses, while at the same time, providing real-time dashboards with relevant data. ERPLY is online business software, so you access your data using your browser or mobile phone. We didn’t just clone existing desktop solutions and put them online, we were one of the first who ever created one. ERPLY is a new way of thinking about inventory, POS and invoicing. The strategy of ERPLY is to give clients the flexibility to evolve and grow as they want, but not to lock them into a standardized system. For this reason, ERPLY’s direction is highly focused around API’s and plug-in architecture, allowing customers to create custom fields, print-outs, and most importantly, integrations to existing or newly implemented 3rd party systems. For more information visit http://www.bixolon.com or contact your local BIXOLON sales representative. BIXOLON Co., Ltd. 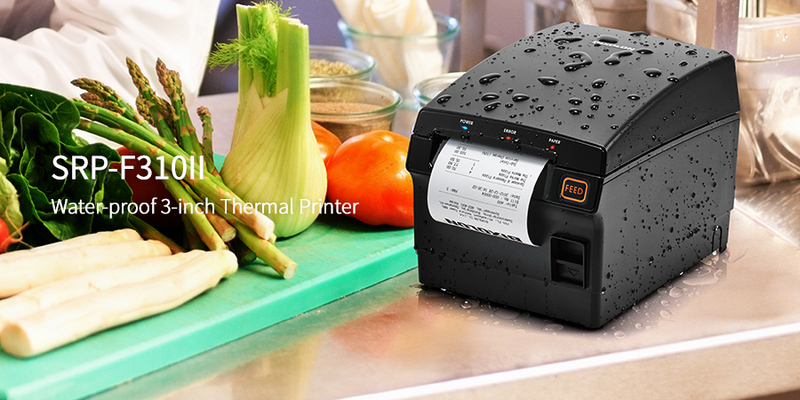 Global POS printer manufacturer would like to announce the launch of SRP-F310II, a 3 inch front-exit thermal receipt printer, designed for water-proof environments with durable, reliable and sleek features. Because of its environmental endurance, ensured business continuity, low TCO, and outstanding software features, the SRP-F310II is a perfect addition for BIXOLON’s customers in the indoor and outdoor retail, healthcare, pharmacy, hospitality, and sports markets. The SRP-F310II has numerous enhanced benefits. John Kim, Marketing Director of BIXOLON, said that, “the F310II is truly second to none when it comes to durability. It can literally be used in any industry and can take whatever you throw at, it no matter the environment. When it comes to continually leading the printing industry with advancements in technology, the F310II is BIXOLON’s latest effort and we couldn’t be more proud in keeping ahead of the competition.” It is truly waterproof and dustproof with an IP12 class rating. Additionally, it has industry-leading reliability with a TPH of 250 Km and an auto cutter that cuts 3 million cuts. Furthermore, the SRP-F310II has a print speed of 350 mm/sec—29% faster than its preceding model, the SRP-F310. The SRP-F310II was designed with environmental endurance in mind. It has Liquid-Barrier™ Technology with a rugged design, as well as a water resistant top and a waterproof solution at 15 degrees. Moreover, it has a built-in power supply for a space saving and water resistant solution. The SRP-F310II can also ensure business continuity with its industry-leading reliability and faster printing speed. In addition, its all in one Plus™ Interface includes a built-in USB V2.0 and Ethernet, as well as an optional I/F card. Lastly, the SRP-F310II has anti-jam technology. Other benefits include a low TCO and outstanding software features. Mr. Kim concluded that, “BIXOLON adopted newly eco-friendly power consumption technology when designing the F310II. It is Energy Star certified and paper save mode supported, and includes a new SDK for Android™ and iOS™ and is mPOS ready.” The SRP-F310II also runs Windows™, Linux, OPOS, JPOS, and Mac drivers and has a unified POS utility.” About BIXOLON BIXOLON is a leading global manufacturer of dependable innovative and advanced printing technologies that include POS, Auto ID and Mobile receipt and label printers for a range of environments. BIXOLON views its printing technology as an essential tool for any business and holds itself to the highest standards since dedication to customers is its core belief. BIXOLON’s FAST, FLEXIBLE and FRIENDLY approach to business has much to do with its recent success. For more information visit http://www.bixolon.com or contact your local BIXOLON sales representative. 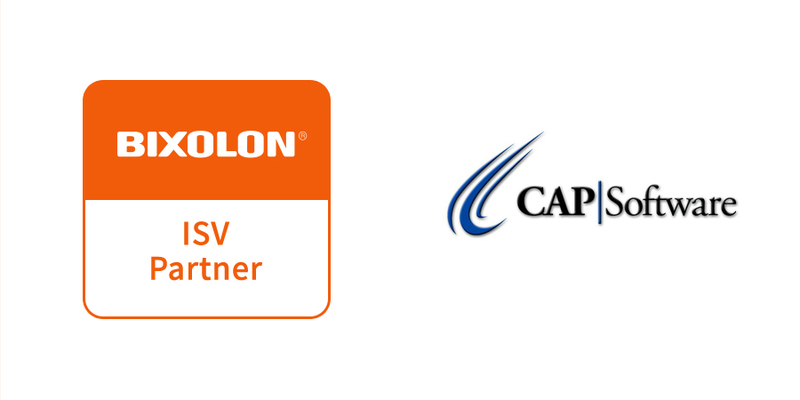 The BIXOLON SRP-350plusIII, SRP-F310, SPP-R210, SLP-D420 POS printers are now certified with CAP Software. CAP POS software “helps retail operations function more effectively and efficiently, from the point-of-sale to the back office. Whether you are opening a new business, looking to replace existing software, or purchasing your first retail management package, CAP is incredibly powerful and easy to use.” President of CAP Retail, Will Atkinson said that, “From payment processing and support, CAP POS was designed specifically to help specialty retailers take care of their customers by speeding up transaction times, reducing errors, and increasing flexibility. With BIXOLON, this just adds more flexibility and further enhances our POS solutions within a variety of retail markets.” “From the SRP-F310 which is the first real waterproof 3 inch thermal receipt printer, to the SRP-350plusIII which is the perfect fit for any mPOS solution, BIXOLON continues to stay a step ahead of the competition with the latest mPOS printer offerings”, said John Choi, Product Manager at BIXOLON America. He went on to add that, “High quality printing performance and user friendly designs are what truly separate BIXOLON, and we are happy that CAP POS Software has certified several of our mPOS printers”. About BIXOLON BIXOLON is a leading global manufacturer of dependable and innovative advanced printing and mobile technologies that include POS receipt, desktop label, and mobile portable printers for the retail, hospitality, healthcare, and warehousing industries. We view our printing technology as an essential tool for any business, and hold ourselves to the highest standards since dedication to our customers is our core belief. Visit http://www.bixolonusa.com for more information. About CAP Software CAP Software is the original retail Point-of-Sale and inventory control software system. Since 1978 we have been developing solid, stable POS software products based on the features required for real world retail businesses. We know how important quality and consistency are to businesses, so we make it our primary goal to provide a reliable product. We were the first retail software package and we want to be the last one that you will ever need. Customers have recognized CAP as the leader in the industry through continuing development and innovation. To learn more, visit http://www.capretail.com/index.htm. 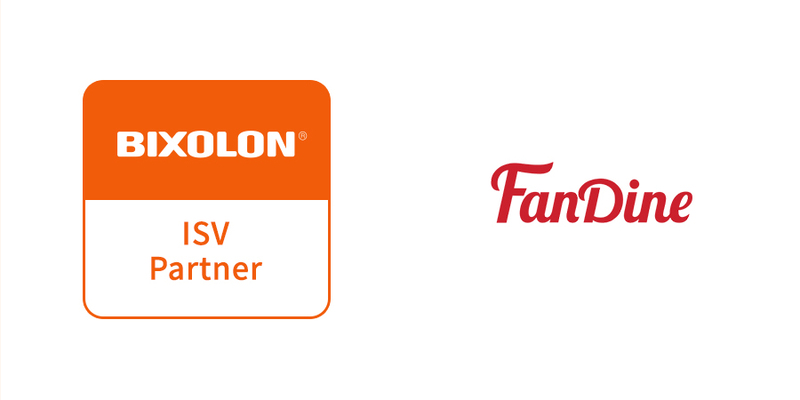 BIXOLON America is pleased to announce our current products - the BIXOLON SPP-R200II and SPP-R210 with iOS mPOS printers, are now certified for use with the FanDine Technologies mobile app. 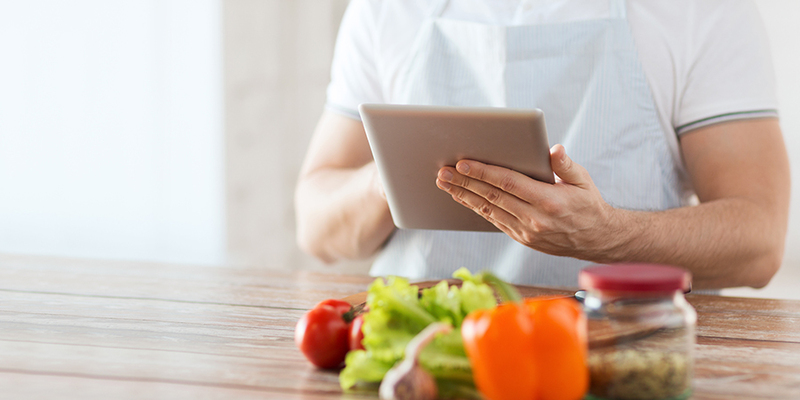 FanDine’s innovative mobile app lets “consumers join the rewards program where they earn points for talking and sharing their restaurant dishes and dining experience” with their networks via their mobile device. John Choi, Product Manager at BIXOLON America said that, “The latest BIXOLON mPOS printers offer the latest solutions for mobile apps like FanDine including iOS and pending Android functionality.” Mr. Choi went on to say that, “With this new app certification, we are really looking forward to showing how the mPOS BIXOLON product line supports a cutting edge technology like FanDine where consumers can not only call the restaurant and order within the app, but also pay for their meals as well”. Albert King, CEO, of Vancouver based FanDine Technologies states, “We purchased BIXOLON’s mobile printers and are extremely happy with the functionality they provide for consumers that require a paid receipt for purchases made through the FanDine app.” Mr. King went on to say that, “With 80% of customers reviewing an online menu before they dine at a restaurant, and 75% choosing a restaurant based on search results, we are glad that FanDine can be supported by a top of the line quality hardware like BIXOLON, in this growing market segment.” Our customers are extremely happy with the seamless integration between the FanDine App and the mPOS printers as it increases the efficiency of the workflow and gives our customers a high quality dining experience. About BIXOLON BIXOLON is a leading global manufacturer of dependable and innovative advanced printing and mobile technologies that include POS receipt, desktop label, and mobile portable printers for the retail, hospitality, healthcare, and warehousing industries. We view our printing technology as an essential tool for any business, and hold ourselves to the highest standards since dedication to our customers is our core belief. For more information visit http://www.bixolon.com or contact your local BIXOLON sales representative. About FanDine FanDine is a ground-breaking mobile app designed to deliver enhanced restaurant services, market your restaurant through word-of-mouth promotions, and help grow your business. The app delivers fast and convenient services for consumers participating in FanDine while offering rewards for in-app social sharing that will drive customers to your door. To learn more, visit http://www.fandine.com. 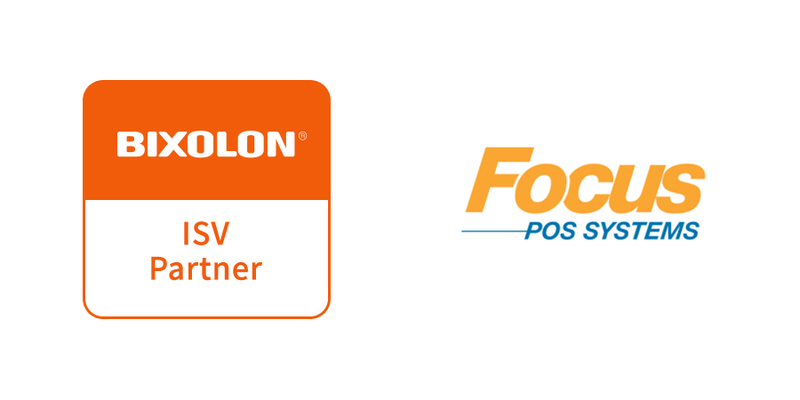 BIXOLON America announced today that three of their desktop receipt printers are now certified with Focus POS! Focus POS’ restaurant software, which provides the “most reliable restaurant management software to well-known hospitality establishments worldwide,” has certified the BIXOLON SRP-330, SRP-350plusIII, and SRP-275II. Mike Hamm, Chief Operating Officer of Texas based Focus POS Systems said that, “Whether you are utilizing traditional or mobile point of sale hardware, the Focus POS restaurant software suite can literally do everything for any hospitality function from helping deploy customer loyalty and gift card programs to inventory tracking, employee scheduling, and report tracking of every piece of data you could ever think of all right at your fingertips.” Mr. Hamm went on to say that, “As an ISV we appreciate the constant innovation in mobile and POS hardware applications that BIXOLON America manufactures.” “The latest BIXOLON printers offer advanced POS and mPOS solutions including iPad and Andorid POS printing, coupon, ticket, and kitchen and bar invoice ordering”, said John Choi, Product Manager at BIXOLON America, adding that, “With this new certification, the sky is the limit while we continue to grow and try to increase market share. 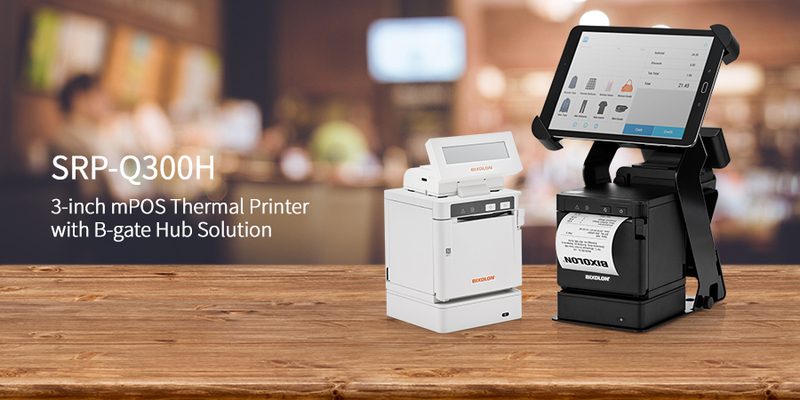 Focus POS has always been the industry leader in restaurant software, and we are pleased that our collection of the latest POS printers are now certified with such an all-encompassing software for hospitality environments”. About BIXOLON BIXOLON is a leading global manufacturer of dependable and innovative advanced printing and mobile technologies that include POS receipt, desktop label, and mobile portable printers for the retail, hospitality, healthcare, and warehousing industries. We view our printing technology as an essential tool for any business, and hold ourselves to the highest standards since dedication to our customers is our core belief. For more information visit http://www.bixolon.com or contact your local BIXOLON sales representative. About Focus POS Focus POS Systems is a Texas based company with a rich heritage of delivering innovative software technology to the hospitality industry with thousands of installations since 1990. Our philosophy is simple: create a smart, uncomplicated solution that positions our customers for profitability and competitive advantage. Hospitality is one area that remains our prime focus; thereby assuring our customers the most robust and reliable product for success. With Focus POS Systems you get the benefits of an expert team that understands your environment, continually solicits market feedback, and researches and develops to provide inherent functionality that addresses your most critical business needs. This distinct strategy is evident in our product, promoting efficient operations, reduced costs and increased productivity, ultimately delivering business value. To learn more, visit http://www.focuspos.com. BIXOLON America is pleased to announce they are now certified with Future POS! 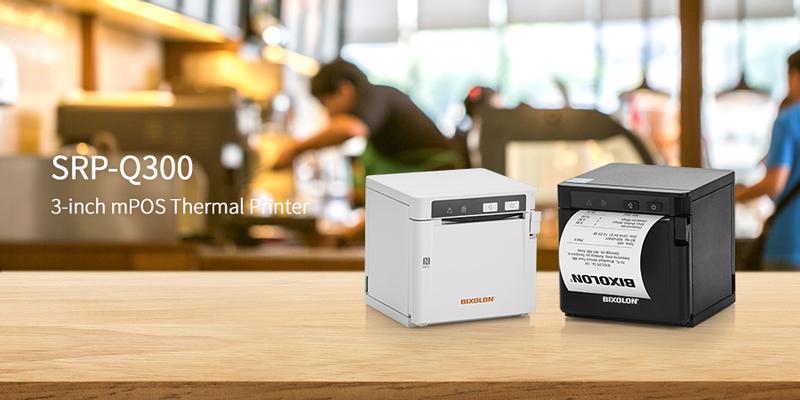 The BIXOLON SRP-350plusIII, SRP-330, and SRP-275II POS printers are now certified with the extremely flexible and customizable Future POS restaurant software. John Choi, Product Manager at BIXOLON America was pleased to say that "Future POS and BIXOLON are a great match with their mutual focuses on developing great solutions for the mPOS and POS marketplace.” John went on to say that, “With technology changing rapidly in an ever changing mobile and POS landscape, we can always depend on Future POS staying a step ahead of the latest hospitality trends and are proud that BIXOLON is certified." 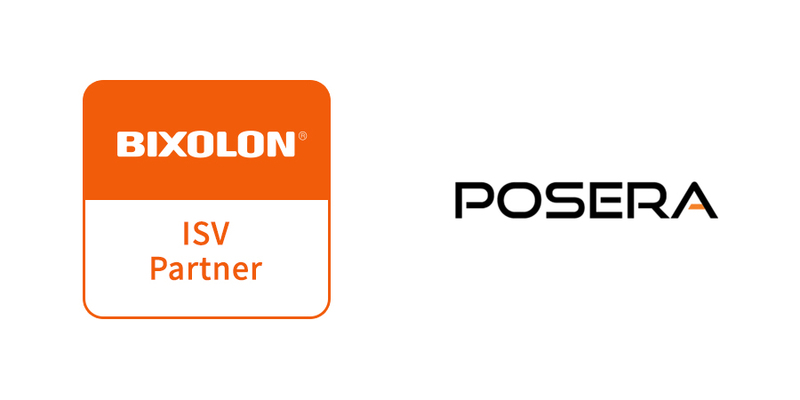 Alex Giocondo, Director of Operations at Future POS says, “These certifications are critical to both our partners and Future POS growth, and we are excited that a market leading POS hardware manufacturer such as BIXOLON is now certified. Future POS is the most powerful and robust and user-friendly software on the market by leading the industry in innovation. By constantly integrating the latest technologies with POS companies such as BIXOLON gives us the best combination of the latest point-of-sale product.” John concludes that “With the combination of the Future POS software solution approved for use with the powerful performance, multiple interfaces, and user friendly design of BIXOLON’s POS printer line, the partnership with Future POS will be very promising.” Future POS will be exhibiting alongside BIXOLON America at RSPA’s RetailNOW 2015 show in Orlando, Florida from August 2-4. They will be featured at BIXOLON’s booth, no. 308, and will showcase their software together with the BIXOLON mobile line. About BIXOLON BIXOLON is a leading global manufacturer of dependable and innovative advanced printing and mobile technologies that include POS receipt, desktop label, and mobile portable printers for the retail, hospitality, healthcare, and warehousing industries. We view our printing technology as an essential tool for any business, and hold ourselves to the highest standards since dedication to our customers is our core belief. For more information visit http://www.bixolon.com or contact your local BIXOLON sales representative. About Future POS Future POS develops award-winning point-of-sale software for restaurants, including fine dining, quick serve, retail, and specialty applications. Our tools are “mission critical,” stress tested well beyond what most other point-of-sale packages can handle, and Future POS can run any size operation from a single terminal installation to a 77 terminal stadium. Founded in 1998, Future POS celebrated its 17 year anniversary last year, with sales up over 22%. The company has come a long way since its humble beginnings and can be seen regularly on SPIKE TV’s “Bar Rescue™.” You’ll also find Future POS software at some of the finest restaurants around the world. To learn more, visit http://web.futurepos.com/. BIXOLON America announced today that the BIXOLON SRP-350plusIII, SRP-350III, and SRP-275II POS printers are certified with Aldelo POS and Aldelo Xera restaurant POS software. In addition to these certifications, BIXOLON America and has entered into a Platinum level partner sponsorship with Aldelo, looking to mutually contribute to add value for channel partners. 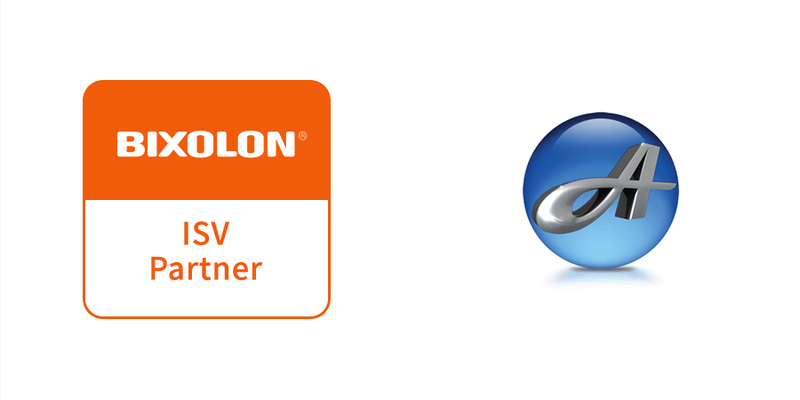 As an Aldelo Strategic Partner, BIXOLON POS printers effortlessly compliment the Aldelo POS and Xera software. Allyn Grindle, Director of National Business Development of Aldelo, said, “We view these partnerships as integral in our quest to offer the most robust and versatile restaurant POS solutions available today. With industry partners such as BIXOLON, who present great value in the quality of their product offerings, their integration with Aldelo products, and their marketing synergy with our company is exactly what we look for in a partner.” The Aldelo Strategic Partner Program is “designed so that partners can budget their levels of participation in a way that gives maximum value for the investment.” Aldelo offers restaurant POS software solutions that are easy to use and increase ROI for the hospitality industry. Aldelo Xera is a “simple to use, full-featured POS solution that is extremely flexible to accommodate any complex order entry challenges with the fewest possible steps required” and is “designed specifically for all Fine-Dining, Table Service, and Quick Service Operations,” continues Grindle. A perfect fit for BIXOLON’s POS printer line that offers high quality performance and world class flexibility. “BIXOLON looks forward to developing the strategic partnership with Aldelo into 2015 and beyond,” said John Choi, Product Manager at BIXOLON America. John concluded that "The BIXOLON Aldelo partnership is a platform to communicate value to the channel and equip them. We further align our goals to bringing innovative products to the market that the channel can leverage into profit.” About BIXOLON BIXOLON is a leading global manufacturer of dependable and innovative advanced printing and mobile technologies that include POS receipt, desktop label, and mobile receipt and label printers for the retail, hospitality, healthcare, and warehousing industries. We view our printing technology as an essential tool for any business, and hold ourselves to the highest standards since dedication to our customers is our core belief. For more information visit http://www.bixolon.com or contact your local BIXOLON sales representative. About Aldelo When Aldelo was founded we had only one mission in mind; it is the mission to develop simple to use, feature rich, reliable and cost effective software solutions for the hospitality, retail and payment processing industries. Throughout the years, we have kept that mission in mind for our growth strategies and products. This unyielding focus to our original mission has helped us achieve over 100,000 installations and over 400 channel partners around the world. To learn more, visit http://www.aldelo.com/ today!